Are you a normal swimmer? 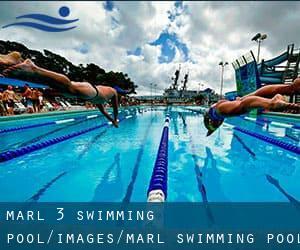 Have you ever practiced Aquagym in Marl? Let us know!. We quite possibly don't know all of the Pools in Marl. Are you missing any? Contact us!. Swimming is really a sport for all ages. It assists young folks to tone their muscles and grow healthy and strong. For the elderly, there's no much better strategy to exercise than obtaining a Marl Pool to escape from every day routine. Thanks to some new pools submitted by swimmers like you, Swimia.com is increasing in the day-to-day number of stored pools. Please don't hesitate to get in touch with us in the event you locate any Marl Pool with inaccurate or incomplete knowledge. The perfect varieties of Marl Swimming Pool (North Rhine-Westphalia) are located mainly in huge cities, but it's also easy to locate public pools in rural locations. Before trying any pool, ensure you know the rules and regulations for varieties of Marl Swimming Pool (North Rhine-Westphalia) as they may not be the same as inside your house town. We advocate you contact the pool directly to ask if you ever will need a hat, and what sort of footwear or distinct clothing you will need. Eduard-Weitsch-Weg 27 , Marl , GERMANY (Postal Code: 45768). Swimmers like you reported 25 meters x 16-2/3 meters, Indoors. Unfortunately we do not have the email address of this Pool, but we can provide you with the phone number. There are several reasons why it's best to choose a heated swimming pool in Marl. One of the most important a single relies on the significance of keeping the body temperature stable. If the water is too cold, your body will try to warm it up and you will lose strength to swim effectively. Enjoy the best indoor pools in Marl and don't worry about the weather. These facilities are open all seasons and you can enjoy a swim at the same temperature every day of the year. There are a lot of alternative treatments to chlorination, with great advantages that make sure far better water high quality within the pool. A single possibility is the mineralizer, which purifies water naturally and substantially decreases the chemicals applied and maintenance time. 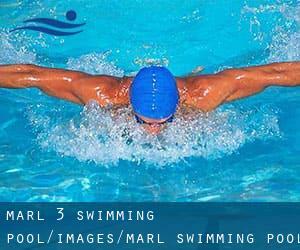 Try Chlorine Cost-free pools in Marl. If you're tired of getting eyes and irritated skin, obtaining a saltwater pool in Marl can be the resolution. It's best to know that the level of salt from these pools is well below the level of salt from sea water, particularly they're talking about a tenth or less. One of the advantages of outdoor swimming in Marl could be the possibility to sunbathe throughout the summer season. Taking it with extra care, sunbathing is healthy since introduces Vitamin D into the body, so the best choice seems to be switching in between indoor and outdoor pools depending on the season.